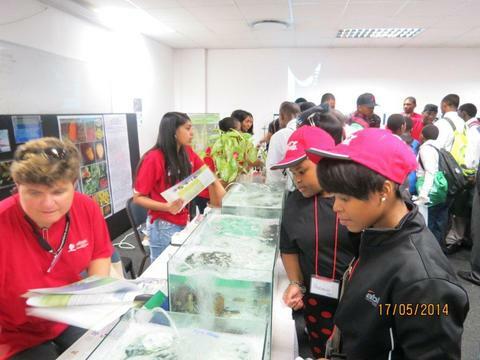 On the 17th May 2014 UKZN had its Open Day at the Westville campus. IkamvaYouth KZN was a part of this very informative occasion with the full assistance and support of ABI. 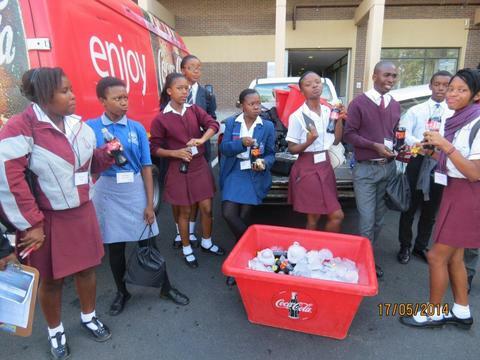 Grade 11 and 12 learners from Umlazi, grade 12 learners from Chesterville as well as a couple of children of ABI employees were bussed to the event from their respective branches. As early as 7:30 the learners were at the branches reciting the IkamvaYouth war-cry and getting themselves energised for the day ahead. 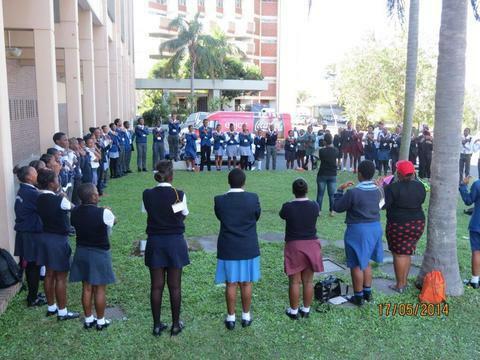 Learners were there in their full school uniforms and they as well as the buses were on time. There were a number of ABI volunteers and staff including Samukelo Nkosi and Nosihle Mthethwa as well as IkamvaYouth volunteers to assist with the managing of learners throughout the day. After the energisers, the learners were then handed their gift bags containing a fruit, a sandwich, an energy bar, water and a cooldrink all sponsored by ABI to give them energy for the day. 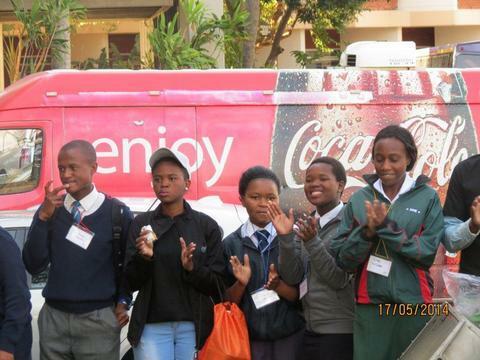 The learners, volunteers and some staff then got into the buses and we all left to UKZN Westville campus. Ahead of the event the learners had been asked to choose the field of study which they were interested in and thus a college they would prefer to visit at the Open Day so as to ensure that they get the full benefit of their chosen field. The learners were then given colour-coded identification cards for the respective college that they were visiting and were escourted by volunteers to the venue where the presentations for that college would be held. The presentations and demonstrations varied according to the college of study and the learners even got to visit stalls within those departments to collect information brochures. 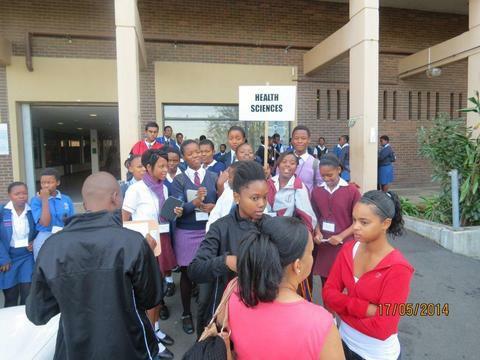 Those learners whose departments finished early also got an opportunity to visit other colleges and hear more. Learners were very excited and learnt more about their chosen fields in terms of what the requirements are and where they need to improve in order to get into those fields. The occassion was a very informative one and benefitted those who grabbed the opportunity and asked as many questions as they could think of. The presenters also made mention of the different ways one can access financial aid and also how the application process through CAO works. Learners left the event with more knowledge about UKZN and its courses but also knowing whether they qualify for course at UKZN or not and if not how to make sure that they do. To end off the day, learners were then brought back to one meeting spot where further energizers were done. 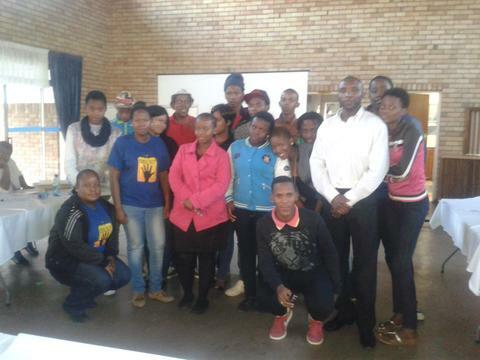 A motivational talk by ABI’s Samukelo Nkosi, as well as “thank you’s” by IkamvaYouth staff and learners were done. Lunch was served on the buses on the way back to the branches. It was a day well spent. Well done Ikamvanites for your good behaviour and once again a very big “THANK YOU” to ABI for making sure that our learners experienced the Open Day in the way that they did, you certainly came through like you always do. 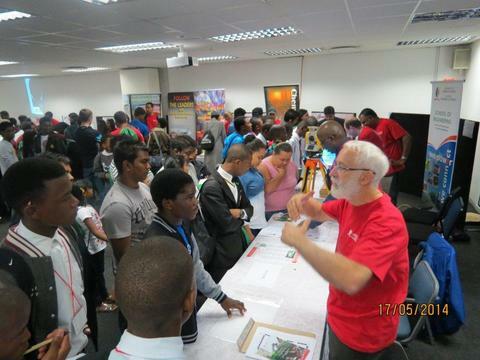 On the 17th May 2014 UKZN had its Open Day at the Westville campus. 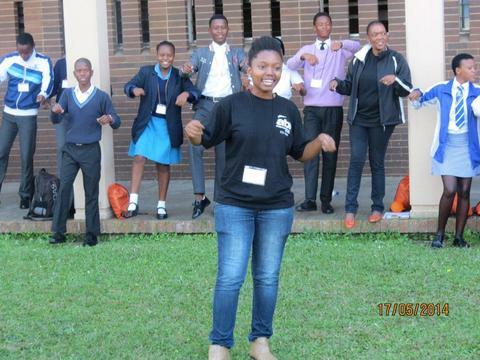 IkamvaYouth KZN was a part of this very informative occasion with the full assistance and support of ABI. 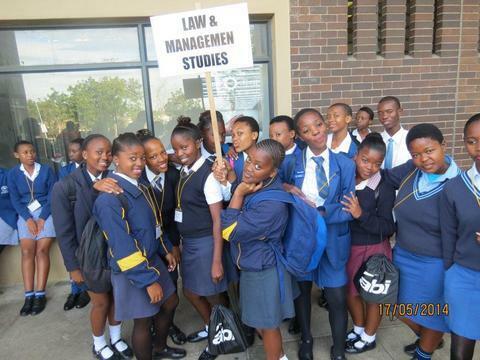 Grade 11 and 12 learners from Umlazi as well as grade 12 learners from Chesterville were bused to the event from their respective branches. The Ikageng branch held its first ever Strategic Planning Workshop (SPW) on the 26th April 2014. The SPW was hosted at Lemon Blossom Guest House’s conference center in Potchefstroom. In attendance were tutors, learner representatives, the district coordinator- Mr Patrick Mashanda, a visiting tutor from Ebony Park branch- Mr Shelton Chadya and Mr Sello Seitlholo- the Ikageng branch ambassador to North-West University participated with the branch staff in this event. The day started with a testimonial speech by Mr Chadya followed by a motivational speech from Mr Seitlholo. The branch coordinator, Ms Tshadinyana Phetoe, gave an orientation to the volunteers about IkamvaYouth, its establishment, and the different programmes implemented at IY. The branch’s highlights were presented by the branch assistant- Mr Clemence Msindo. Mr Mashanda addressed the volunteers on the importance of volunteering and emphasized on the value of volunteers at IkamvaYouth. Ms Mary Mothae, a former tutor at Ivory Park, presented the tutor training, and Ms Noposi Majavu, the branch’s intern addressed on learner behavior and expectations. More pressing issues including discipline and dress code as well as commitment were discussed and action points to aliviate these issues were agreed upon. The team was divided into small groups in order to discuss the branch challenges, which were later presented to the whole team. The team brainstormed possible and potential solutions to branch challenges collectively with tutors and learners effectively and efficiently participating in all brainstorming activities. After a long day of hard work and fun, elections were run for the branch committee. The portfolios which were filled were for head of tutoring; media image and expression; life skills and extramural activities; computer skills; mentoring and career guidance; discipline and library facilities. The election of the BranchCom marked yet another milestone opportunity for tutors to engage more in branch activities and have a voice on critical decisions of the branch. The branch staff is very excited of the newly elected branch com and hope to have a more functional branch going forward. 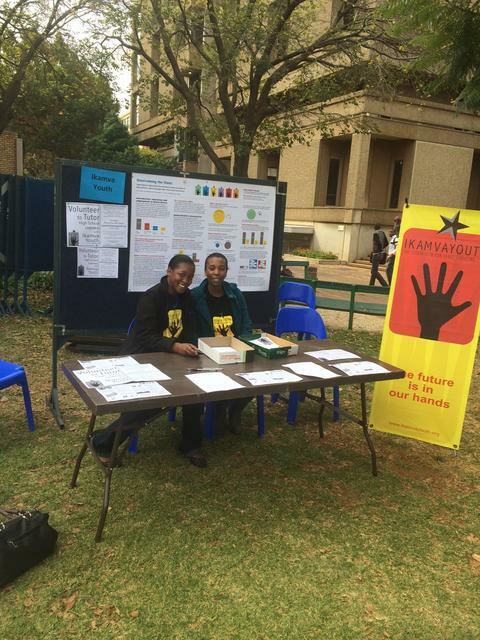 On the 6th of May, IkamvaYouth Ebony Park branch was invited to The Wits NGO Fair at Wits University campus organized by The Wits Citizenship and Community Outreach (WCCO). The Wits Citizenship and Community Outreach are formally known as the volunteer programme that provides students with an organized approach to community service. 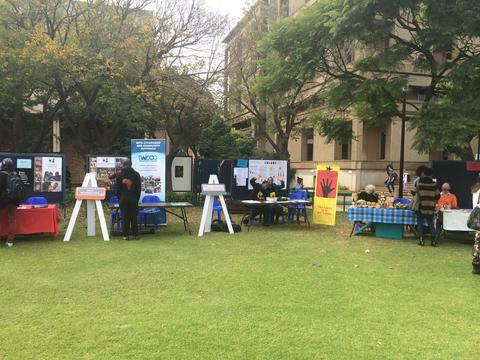 IkamvaYouth and many other organizations were invited to interact with the Wits community to exhibit their projects and also inform on how the Wits community can get involve in their projects. The day started with organizations putting their gazebo’s and stands for students to come and learn about their projects/products. IkamvaYouth Ebony Park Branch staff members and intern, Thandeka Raphakga, took this opportunity to showcase what IkamvaYouth is all about to the Wits Community and also strengthens the relationship they already have with the Wits Community. The day went on with students asking how can they get involve with IkamvaYouth, what programs does the organization offer, and what are the benefits involved in being a volunteer. Lots of students were eager to join the organization. It came as a surprise to see how people value voluntary work, as one of the students said “Voluntary work is part of a human’s responsibility to give back to the community and it also goes with passion for doing good things to society”. The Wits NGO Fair was a good platform for NGOs to introduce their respective organizations to the students and inform them about the importance of volunteering and also the opportunities involved with volunteering. The massage is that, volunteering contributes meaningfully to the community while gaining leadership and interpersonal skills.